Her name is Shems. It is Arabic for "sunlight," and it can also can be interpreted as "hope." Just as the body of Alan Kurdi was being washed up on a beach in Turkey, Shems came into the world, born far from sunlight, in a dirt-ridden, rat-infested subway beside a Budapest railway station to a Syrian refugee. There was no room in any hospital for a mother who, while nine months pregnant, had already been on a hazardous and terrifying boat and rail journey from Syria, through Turkey and Greece to Hungary. When she flagged down a Budapest ambulance and begged the driver to help her, he simply refused and drove off. Shems started her life swaddled in all that was available -- a roll of used tinfoil. "It was a wonderful moment," said a migration aid worker who was present at the birth, according to the Sun, "but it broke my heart that it happened in such an awful place." Newborn Shems is one of the youngest additions to the world's biggest exodus since 1945, joining a total of 30 million displaced children wandering the world, 10 million of them now exiles from their home country as refugees. Luckily, Shems will end up in Germany after her parents were given a dispensation to travel by train from Budapest to Berlin. The fate of other girls such as Shems is more uncertain. The World Food Programme has had to announce dramatic reductions, dropping a third of refugees in Middle Eastern host countries from its food voucher program. Nearly 90 percent of Syrian refugees in Jordan are living below the poverty line and nowhere near enough get the cash grants they need despite the great work of compassion against the odds by António Guterres the brilliant, soon-to-retire UN high commissioner for refugees. But as the numbers of refugee children swell, an even bigger gap in provision has opened up in an area that has too long been neglected and yet has huge long-term consequences for global stability: millions of refugee children will go through their entire school-age years in exile and will never even enter a classroom. They will simply fall through the net -- trapped between a humanitarian system whose limited resources are rightly focused on shelter and food and a development aid system that cannot easily plan for emergencies -- and the resultant exclusion of millions from educational opportunity will become an opportunity for terrorists to turn another young mind. So as the new school year resumes, there is an immediate emergency: we need to get millions of school-age children off the streets where they are easy prey for child traffickers and those who wish to sell them off into child labor or into forced early marriage. We need to get millions of school-age children off the streets where they are easy prey for child traffickers and those who wish to sell them off into child labor or into forced early marriage. Many agencies focused on emergencies, including UNICEF, UNHCR, the Global Partnership for Education, USAID, the Department for International Development, the Norwegian Ministry of Foreign Affairs, Dubai Cares and others have long sought a way of providing not just shelter and food, but education in emergency settings, and for years dedicated aid workers have fought for better conditions. But Syria's mass of displaced children -- about 5 million in total and around 2 million of them left out of education and on the streets -- have become a test case of whether we can do better. Today, three detailed reports have been published by Theirworld showing the scope for action in three of Syria's neighboring countries where most child refugees reside -- Lebanon, Turkey and Jordan. The reports outline the growing number of child refugees and how the numbers of these refugee children educated could multiply principally through introducing a double-shift system in these countries' schools. In the past year, thanks to the initiative of Lebanese Education Minister Elias Bou Saab, 105,000 refugee children have been enrolled for school in Lebanon. In the first half of the day, Lebanese children are taught in French and English. 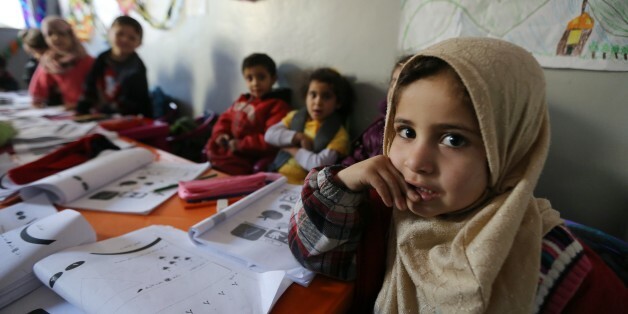 In the second half, in the same classroom, Syrian refugees are taught in Arabic. As the reports outline, the same double-shift system is being used in Jordan and Turkey, with the support of the governments, and could be scaled up. Invariably during emergencies, we find we don't have the buildings, the staff or the capacity to cope. But in Lebanon, Jordan and Turkey, what is missing is not trained teachers or classrooms -- but money. For the new school term, starting just a few days from now, we have raised money to educate 140,000 pupils in Lebanese schools. But that is not good enough: we will soon need to cater for a total of 510,000 children in Lebanon, at least 215,000 school-age children in Jordan and about 400,000 children in Turkey. More international aid will be needed, and when the United Nations General Assembly meets in New York, an appeal will be made that is stark yet simple: for less than an average of $2 per child per day, we could get 1 million Syrian refugee children into school. Costing on average about $600 per student annually, this is one of the best value-for-money interventions the international community could make. 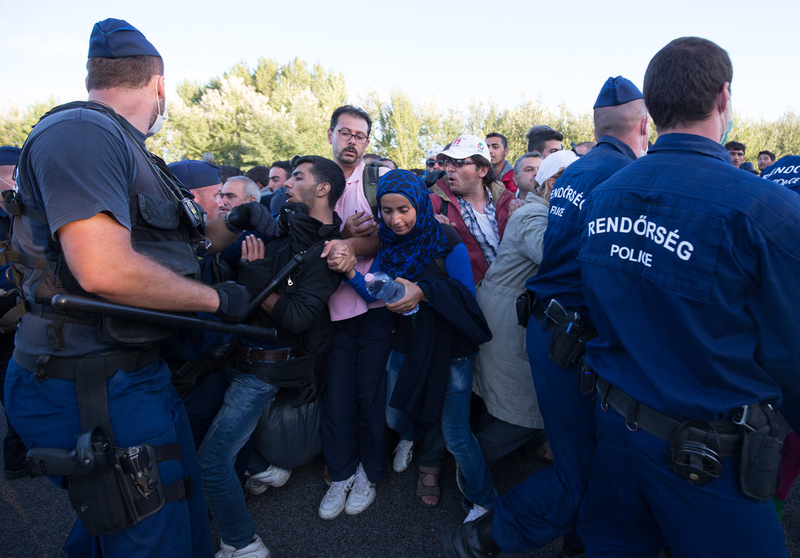 Europe will need to do far more to provide for asylum seekers within our borders. But while Europe copes with tens of thousands, Lebanon, Jordan and Turkey urgently need more aid to cope with millions. And it's common sense, too, for us to help parents provide for their children on the borders of Syria without them feeling compelled to embark on the "death voyages" around the Mediterranean. A few days ago, a little bit of "Shems" came to a dusty alleyway in a Hungarian city. Now, all we ask is that we get the chance to deliver hope on the scale needed to a lost generation of children holed up today on Syria's borders.